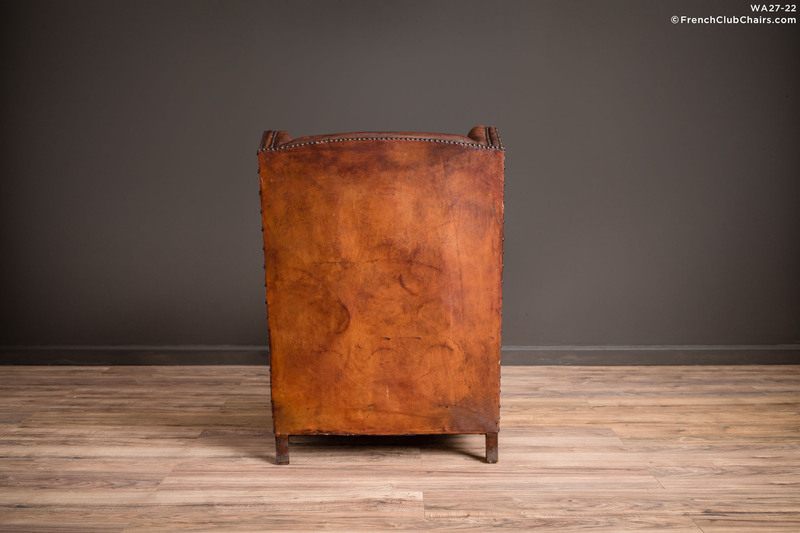 We love the swoop of the arms on this 1940s era French leather Wingback Club chair. This solo club chair is a excellent condition example of club chair comfort. measurements: depth-35", width-31", height-37", seat depth-22", seat width-19", seat height-16"